You will be the first to know about concerts. 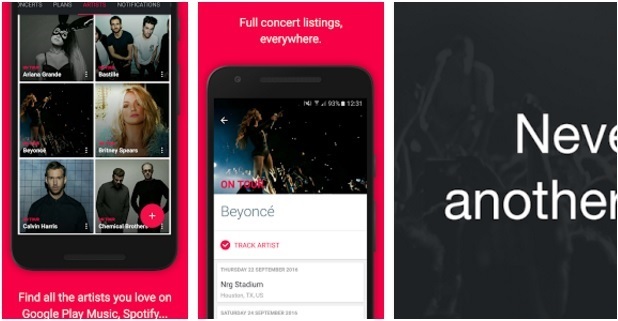 Songkick concerts help you to track your favorite artists and provides concert alerts near you. You can buy tickets straight from the app. It is a free concert app. It allows you to import your services like Google Play Music, Spotify, and Facebook, as well as your music library.